The Hart of the Munchkin Patch: Mirrors ... Signal ... Drive Like A Parent! 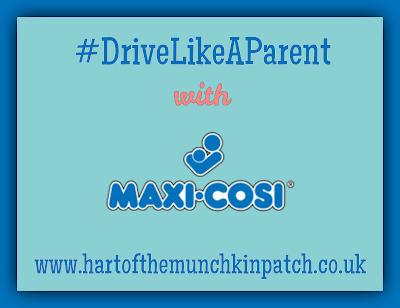 In conjunction with Road Safety Week, 2016, we were delighted to have been invited to join Maxi Cosi in their social experiment in which they worked to determine the different driving styles of both parents and those without children, and we are excited to announce that their finding have just been released! Recent research has shown that, based on a survey of 18.6 million families in the UK, 1.9 million Brits only start checking their driving speed once they become parents. This is quite a shocking statistic when you consider the number of vehicles on the roads every day. So when Maxi Cosi invited us to participate in their experimental research, I thought that, as a family with three children, it would be a perfect opportunity to see where we place in such a calculation. Personally, I don't drive. I am well aware that, as a mum to three children, driving would make life much easier for me and would allow for so much more freedoml However, the thought of driving has always terrified me! Put me in the driving seat of a car and I suddenly turn into a nervous wreck. I've not been so bad recently, and I have started to get myself into the mindset that driving would be a positive step, but it's taking some time. It's not so much my own driving ability that fills me with fear, but that of the few drivers out there on our roads that drive with little or no regard for others. Those that drive as though they are the only ones on the road and those that think their destination needs to be reached in half the estimated time. They are the ones that keep me from driving! And my reluctance to work towards my licence has increased even more since having children. How could I possibly put my three precious children in the back of the car and venture out onto the dangerous road where the 'each man for himself' attitude is so strong ...? In a survey of 1000 parents, most admitted to adopting much safer driving habits when they had a young child on board. Over a third (36%) follow safety precautions more closely, almost half (45%) pay more attention to other vehicles on the road and 34% are more aware of the road signs they pass. To put this to the test, Maxi-Cosi, manufacturers of child car seats for over 30 years, conducted a social experiment with the British School of Motoring to put non-parents and parents against each other. The experiment backed up the research, with the parent-drivers being more aware of the road and watching their speed. We were really happy as a family to be a part of this experiment. 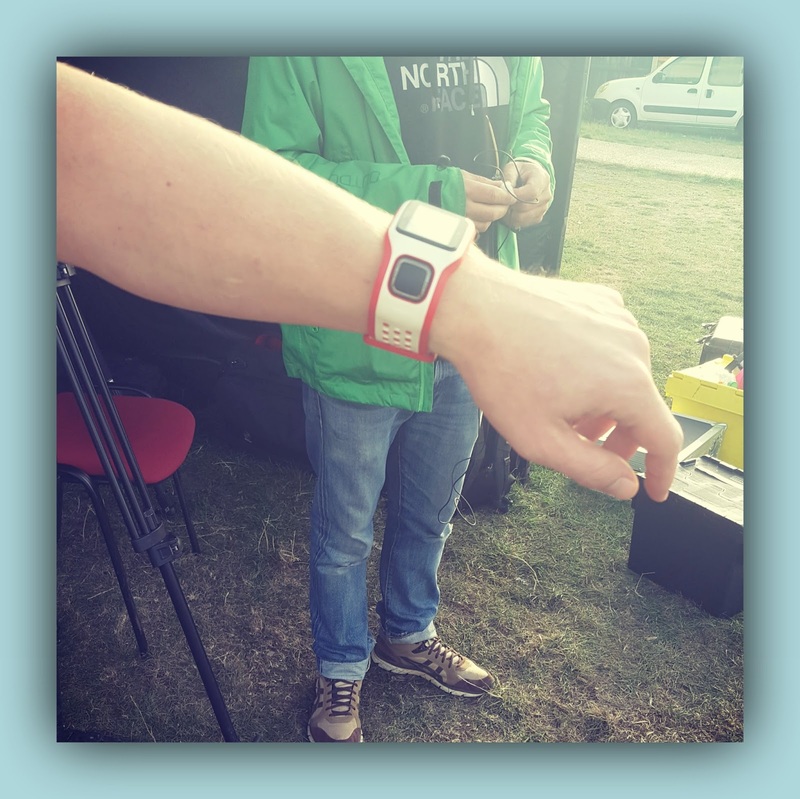 We were invited to a controlled environment in which The Man would be exposed to some every day situations whilst driving to see how they might affect his driving style. ... And Beastie & Plumlet were secured into their Maxi Cosi car seats, ready to really put their daddy through his paces! The Man was taken around the true to life test track, as he encountered other vehicles, road signs, everyday hazards and performed a number of manoeuvres,all of which drivers face each time they travel on the road. And it was almost as though Beastie had been pre-briefed by experts too, as she exposed him to one of the most difficult situations a parent faces when driving as she spent 50% of the experiment in floods of tears as she apparently was no longer happy leaving me standing on the sidelines watching! Hysterical cargo has to be one of the most distracting and distressing situations for a parent as you are torn between concentrating on a road that requires your full attention and comforting your child whom you cannot safely reach out to and who refuses to or is unable to listen to verbal reasoning. According to the monitoring equipment, The Man was greatly affected by Beastie's distress and his driving style changed during the time that she was crying. His speed decreased as he struggled to concentrate on both at the same time, but thankfully, his attention to safety remained strong. He claims that, since becoming a parent, the safety of the children is always the most important thing to him and he would rather be late arriving at his destination if it meant ensuring that their well-being was unscathed! 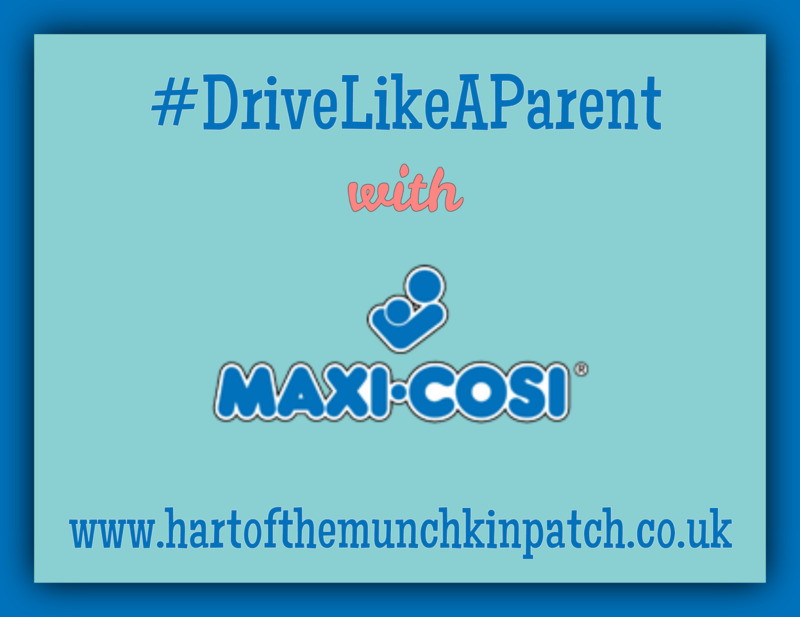 As part of Road Safety Week, Maxi-Cosi is sharing top tips on how to ‘drive like a parent’, making every day journeys less dangerous for all road users. So, on the back of this thorough study, how has it made you feel about your own driving style? Were you a driver prior to becoming a parent,and if so, do you feel that your habits on the road have changed as a result? And are you like The Man in feeling that now, even when the children aren't in the car, you still Drive Like A Parent ...? If you do, you're doing things right! 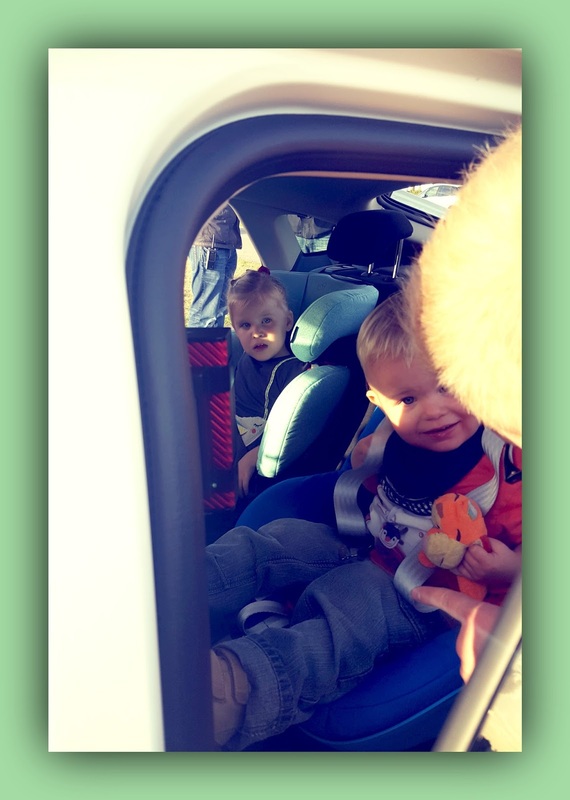 We were invited to take part in this social experiment by Maxi Cosi and were gifted the car seats used by the children during the test in a bid to make their everyday car journeys even safer! No other payment was offered or received for sharing the study and its results.